During the course of Hafez Assad's thirty-year rule, Syria's Alawite minority and a privileged strata of political, military and commercial elites developed a vested interested in the perpetuation of his regime. The palpable fear that this regime inspired among most Syrians was so closely linked to Assad's cult of personality that there is a fairly strong consensus among these elites that the presidency should be passed on to another member of the Assad family in order to preserve an aura of continuity. However, this elite predisposition does not innately favor Bashar over other political aspirants within the Assad family. The heavily choreographed expressions of solidarity that have been on display in Damascus for the last several weeks indicate only that an atmosphere of regime continuity is valued above all else for the time being. Should Bashar either attempt to collectively disenfranchise regime elites or prove unable to protect their privileges, they will readily turn on him and elevate another member of the family to the presidency (if only as a figurehead). Bashar is a political neophyte by Syrian standards. Until the age of 28, he had quietly embarked on a career in medicine in deference to the political ambitions of Basil Assad, his older brother and heir apparent to the dictatorship of Syria. All of this changed in 1994 when Basil was killed in a high-speed car accident and Bashar was whisked away from his ophthalmology studies at Saint Mary's Hospital in London to begin his political apprenticeship. He was rushed through Syria's Military Academy that same year, promoted to the rank of major in the Presidential Guards two months later and elevated last year to the rank of lieutenant colonel. He has now been fully invested with all of the official adornments of political power, but has not yet proven himself. Rifaat says he'll return at the "appropriate time"
The most overt challenge to Bashar's authority from within the family has come from his estranged uncle, Rifaat Assad. For two decades, Rifaat commanded the elite Defense Companies (Saraya Al-Difaah), the praetorian guards of the Assad regime which were instrumental in suppressing the 1980-82 Islamist insurgency in Syria. 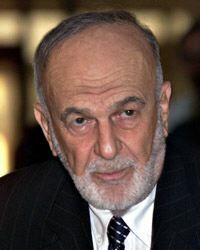 Exiled by his brother after launching an abortive coup attempt in 1984 (though nominally retaining the position of vice-president until 1998), Rifaat has bided his time for an opportunity to assume the presidency either for himself or his Sorbonne-educated son Sumar, 30, who operates a satellite news station in London. Most pundits have dismissed Rifaat's political relevance. However, Bashar's handlers are taking the threat very seriously. According to a senior Syrian official who spoke to the London-based daily al-Hayat, a five-man committee was established immediately after Assad's death with the sole responsibility of tracking down and apprehending Rifaat in the event that he enters Syria. Apparently anticipating that Rifaat will try to cross into Syria from Lebanon, Syrian forces have stepped up security at Beirut International Airport, Lebanese seaports, and various checkpoints along the Syrian-Lebanese border.3 Syrian officials also persuaded one of Rifaat's sons living in Syria, Moudar, 27, to publicly disassociate himself from Rifaat by appearing on television and proclaiming "We have no father other than Hafez Assad." 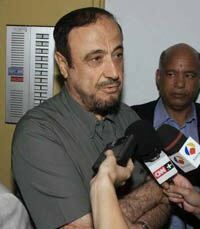 Another of Rifaat's sons, Firas, has also made public statements in support of Bashar. Bashar & company are worried about Rifaat's challenge for several reasons. The first is that Rifaat still has a close network of supporters in Syria. While the Syrian government seized most of his assets in and around Latakia last fall, estimates of his current wealth range from $2-4 billion, more than enough to retain a significant patronage network within the Alawite community. Moreover, Rifaat has strong cross-cutting ties through his intermarriages (he has four wives) with prominent families and clans within Syria as well as those of his 17 sons and daughters. In addition, Rifaat has developed close contacts with other governments in the region. The most important is his close friendship with Saudi Crown Prince Abdullah, who is already running the Kingdom on behalf of his invalid brother. In fact, the two are related through marriage--one of Rifaat's four wives is the sister of Abdullah's wife. Another important potential ally is Yasser Arafat, who has met with Rifaat several times since his exile from Syria. Last year, Arafat greatly angered the Syrian government by giving red carpet treatment to Rifaat's son, Sumar, during his visit to the West Bank. One of the reasons that Arafat was invited to attend Assad's funeral was to distance him from Rifaat. He also has a close personal relationship with members of the royal family in Morocco (unlike the late President Assad, Rifaat attended the funeral of King Hassan II last year). It does not appear that any of the Arab states is willing to covertly back a power play by Rifaat for the time being, but this could come about if regional circumstances change. The Syrian regime has always been more feared than respected by neighboring governments, most of whom have had to contend with Syrian-sponsored subversives at one time or another. Most would be more than willing to play the "Rifaat card" in the event that their relations with Syria deteriorate. Other members of the Assad family have expressed support for Bashar, but could conceivably be recruited to oppose him in the event that a powerful constellation of elite opposition materializes. Another brother of the late Syrian president, Jamil Assad (b. 1933), has not played a very significant political role in recent years, aside from serving in the parliament. Unlike his two brothers, Jamil has no significant military background. During the early 1980's, he amassed considerable wealth and headed an Alawite religious association in Latakia called Al-Murtada. According to one account, the Murtada Association had a militia wing armed by Rifaat's Defense Companies and actively sought to convert Syrian bedouins in the Jazira, Homs and Hama regions to the Alawite religion, which, of course, conflicted greatly with the ostensibly secular ideology of the Ba'ath party (and left the Islamists fuming).5 Assad forced the group to disband in 1983 and many of Jamil's assets were confiscated in 1984 because of his close association with Rifaat. Nevertheless, Jamil and his son, Fawwaz, still possess quite a bit of of real estate and commercial enterprises and can exert influence through their patronage network in Latakia. Jamil has reportedly spent most of his time in Europe during the last two years, but unlike Rifaat, he has been permitted to return periodically to Syria at his leisure (he was present at Assad's funeral). While he has openly embraced Bashar as the legitimate heir to the Assad dictatorship, he probably resents being denied any important political or military positions within the regime. Should the Alawite generals decide that they need a civilian figurehead and stalwart supporter of Alawite privileges, Jamil may be their number one candidate. 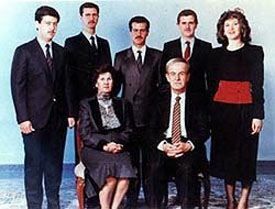 Bashar also has two younger brothers, but they are not considered to be politically relevant by most insiders. Maher Assad, 33, is a prominent officer in the Republican Guard, recently promoted to the rank of colonel, but is considered too hot-tempered to be an effective ruler: in October of last year, he reportedly became upset by derogatory remarks made about Rifaat by Gen. Assef Shawkat (the husband of their older sister Bushra and a key ally of Bashar) and shot him in the stomach.6 His other brother, Majd, is an electrical engineer who reportedly has a history of mental problems. It is worth mentioning that many other relatives of Bashar outside of his immediate family occupy important positions in the regime. Shawkat, for example, is said to be the de facto decision-maker in Syrian military intelligence (which is nominally under the command of Gen. Hassan Khalil). Another important figure is Gen. Adnan Makhlouf, a cousin of Bashar's mother (Anisah Makhlouf), who commands the 30,000-strong, well-equipped Republican Guard. Two cousins of the late Syrian president, Adnan and Muhammad Assad, command the "Struggle Companies," a 5,000 strong security force in Damascus. 1 BBC Arabic Service, 12 June 2000. 2 Arab News Network (ANN), 12 June 2000. 3 Al-Hayat (London), 12 June 2000. 4 Voice of Israel (Jerusalem), 20 June 2000. 5 Nikolaos Van Dam, The Struggle for Power in Syria: Politics and Society under Assad and the Ba'th Party (New York: I.B. Taurus, 1996). pp. 122-123. 6 Liberation, 29 November 1999.